This large (1.61 inches/41 mm) katana set style is commonly associated with old swords and battles. 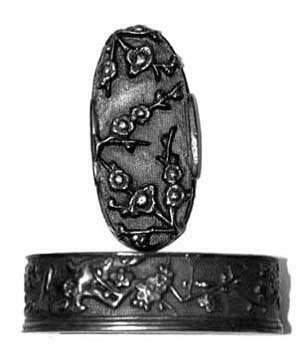 Most kashira are produced (as is this one) with built-in shitodome for styling and in order to protect the silk ito. Available in black steel only.